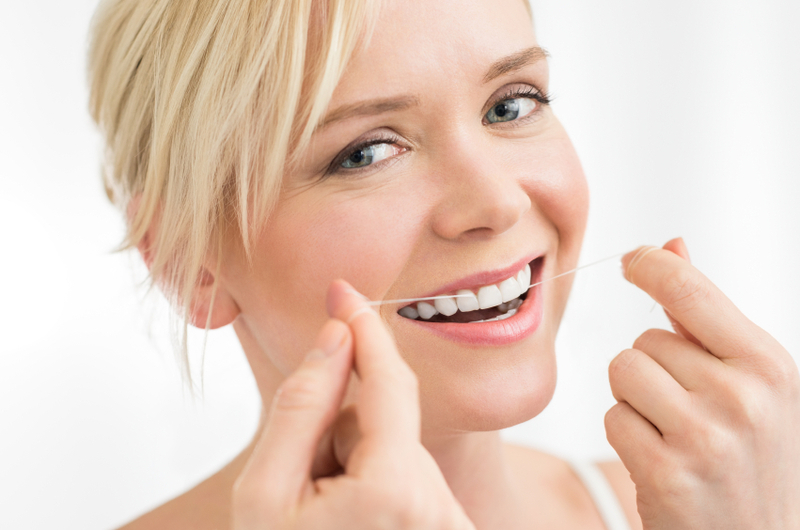 Your Dentist in Los Angeles Says Flossing Does Matter! Although we have all been told that we need to floss daily, many look at flossing like an added chore. As a result, many skip out on flossing. In fact, as much as 27 percent of adults lie to their dentists about flossing. In addition, a recent study found that only four out of ten Americans floss their teeth every day, with 20 percent of Americans admitting to have never flossed. With a recent article by the Associated Press claiming that flossing is not important to preventing gum disease, as your dentist in Los Angeles, Dr. Latner is here to tell you that flossing DOES matter! Despite the claims from the recent article, Dr. Latner, your trusted dentist for more than 30 years, says that flossing daily is critical to your oral and overall health. While you may brush your teeth properly twice a day, brushing is not enough. Brushing cannot remove the trapped food particles, plaque, or bacteria from around the gum line or in between the teeth. The only way to rid unwanted food debris, plaque, and bacteria accumulations is with daily flossing. Even if you do not enjoy flossing, you need to make flossing part of your daily oral hygiene regimen to decrease the potential for tooth decay between the teeth and the development of gum disease. With gum disease directly linked to causing a number of serious overall health problems, such as heart disease, you must floss daily. Although flossing may seem pretty self-explanatory, the reality is that most people do not floss correctly. The first step to flossing correctly involves choosing the right floss. Now, you have many options when it comes to choosing dental flosses; however, you want to choose a floss that has the American Dental Academy seal, which means the floss is supported by the ADA for being effective. It does not matter if you floss your teeth before or after you brush. When flossing, you will need 18 to 24 inches of floss to make the task easier. Wrap the ends of the dental floss around both of your index and middle fingers. Insert the floss in between two teeth gently. Be careful not to snap the floss onto the gum line. Hug the tooth by forming the shape of a “C” around the tooth. Next, extend the floss down the tooth to the gum line with a back-and-forth motion. Finally, pull the floss back up to the top of the tooth and repeat for each tooth. If the floss becomes dirty or frayed, use a new, clean piece of floss. Brushing your teeth twice a day is only a small portion of preventive dental care. You need to floss your teeth daily as well. In addition to your home oral care, you need to schedule an appointment with your dentist in Los Angeles twice a year for regular checkups and cleanings. If you have been skipping out on flossing, Dr. Latner recommends you take the time to floss daily starting right now! by: Les Latner at August 29, 2016 . Comments Off on Your Dentist in Los Angeles Says Flossing Does Matter!